was born in Japan. 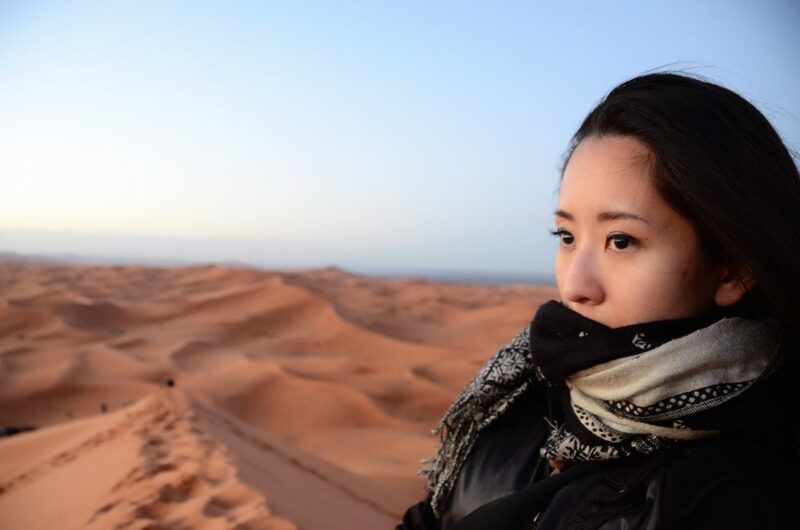 But her father’s work saw her spend her childhood in several other countries including China, Pakistan and England, before returning home to Japan, where she went to University. DuPont says she has always been interested in the diverse life experiences of people around the world. Her curiosity drives her to engage with these subjects, and to develop a rapport with them. Often a story emerges about what makes them tick, and how their circumstances sit within the wider context of the rest of the world. People lie at the heart of her work; and DuPont’s photojournalist style is typified by natural light and real life locations, giving her work an immediacy, capturing fleeting moments in the lives of her subjects. 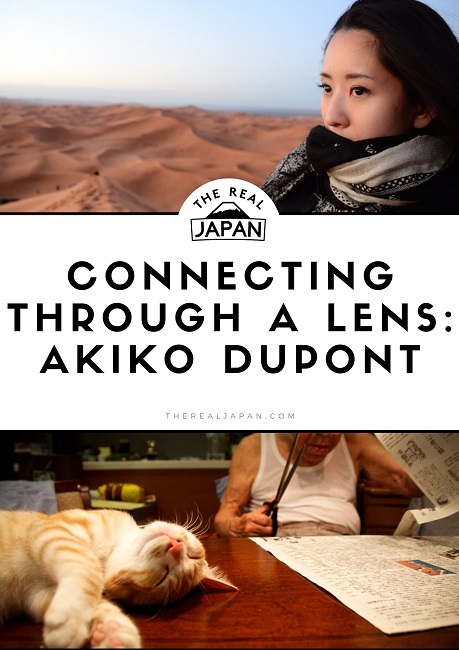 Her photographs have been published and featured around the world, including The Washington Post, The Huffington Post Japan, Mainichi Weekly, FOX News, and many more. 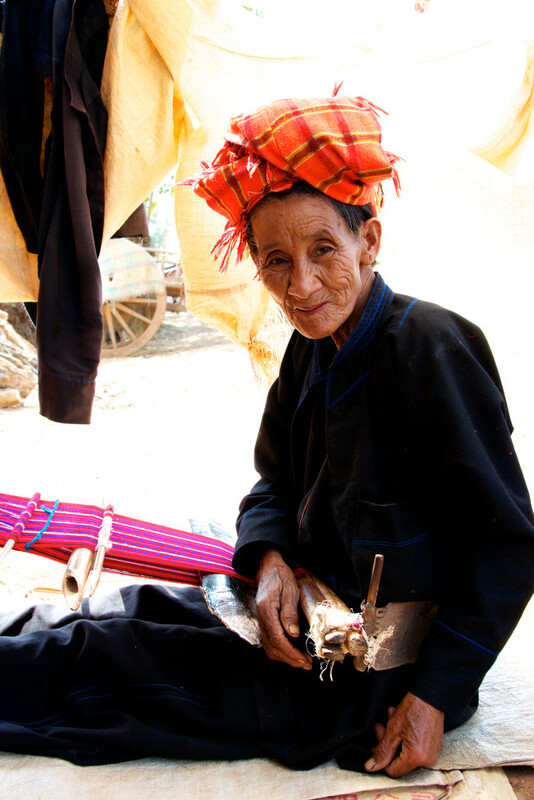 Notable past projects have documented the fast changing lives of the people in Myanmar. Putting on record Philippine victims of sexual violence during World War II. And documenting the work of the last traditional tattoo artist of the Kalinga tribe, also in the Philippines. But for her most recently completed project, Jiji and Kinako, DuPont chose to look within her own family to tell a far more personal story. It documents her grandfather Jiji’s growing love for a cat (Kinako) during the progression of Jiji’s Alzheimer’s disease, and was picked up by many Alzheimer’s organisations around the world. The connection to her subject here, uncommon in her work, at times making it especially difficult for her. At one point having to stop taking photographs for almost a year. 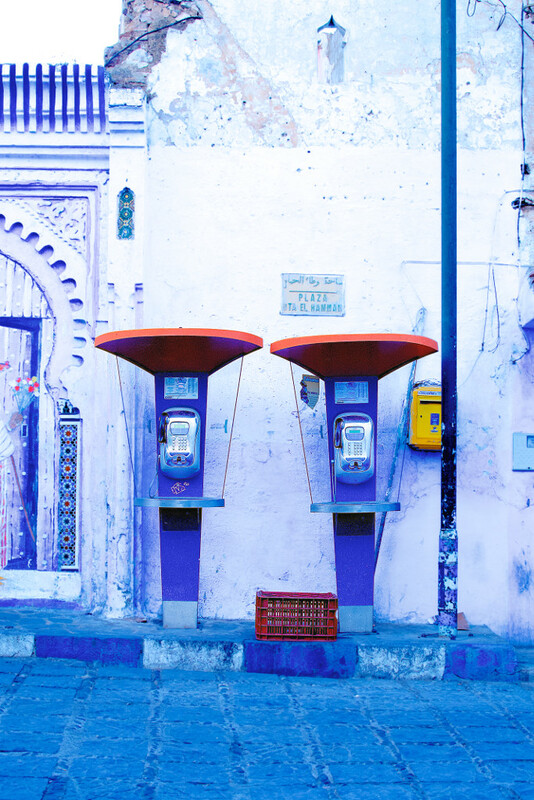 DuPont was recently shortlisted for the IWPA – the International Women Photographers Award. She’s now based out of Tokyo, Japan and London, UK. I caught up with DuPont during her latest exhibition, for the Jiji and Kinako project, at the Sway Gallery in London. 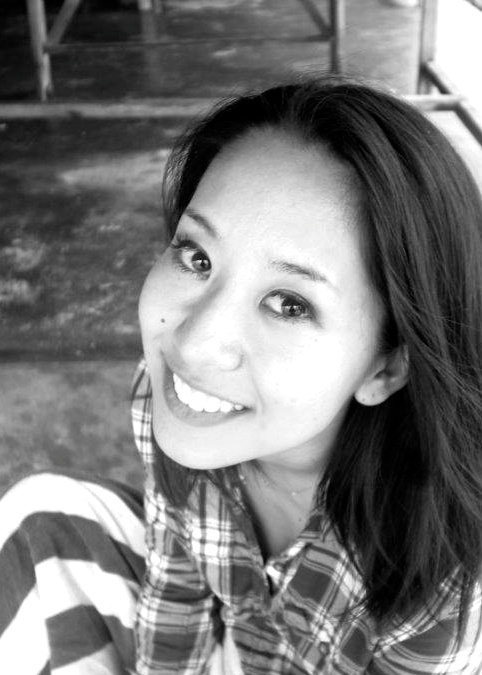 Akiko, thanks for being with me today to talk about your photography, we’re here in the sway Gallery in London. I just wanted to spend a few minutes to get to know you for our readers, and for them to understand a little bit about what inspires your photography, and also the travels that that takes you on as well. You were born in Japan and grew up on an oyster farm I hear. So what was that like? The oyster farm was in the Kansai area, Hyogo. I lived part of my childhood outside Japan, and then came back to Japan when I was seven and then moved to an oyster farm. Because I was quite small the effect [on me] wasn’t that big I believe, but because I did go outside the country I did have a little bit of a different sense compared to the other people. Because it was a very small town, everybody was very close, very traditional, and I did have a little bit of a challenge blending in sometimes. We had different values, way of thinking, manners. I’m glad I came back. You spent a lot of your childhood in a number of countries including China, Pakistan, England and Japan. So how did that come about? So, my father’s work brought me to those countries. My sister was actually six months old when we went outside Japan. China. I heard we went there soon after the Tiananmen Square incident, there was quite a little population of Japanese. And then we went to Pakistan soon after when India and Pakistan were fighting and when they calmed down. So we were quite lucky. Then we moved here to England and came back to Japan when I was seven. You studied media literacy at Sacred Heart University in Tokyo, and I wonder what that course encompassed, and and if that’s where your photography began, or whether you were doing photography before you went to university. I began photography actually after University, but I think I had a little bit of seeds of getting interested in photography while I was growing up, because my grandfather was into photography. Then I did go to study media literacy and got interested in journalism. I loved art all the time, so that was the seeds I guess. Then it was all about media literacy when I was in university, but it did make me realize that sometimes words aren’t enough. And then photographs, the images isn’t enough sometimes. So you always need something together and then I thought – well, I should do photography. Just on that briefly, what sort of photography equipment do you use? I use my Nikon D800, and whenever I do documentary I try to have two cameras all the time on my shoulders, because you never know what’s going to happen. And you don’t have time to change lenses and they’re both D800s. Your style – you’ve got a very kind of documentary style, but you’ve got our own kind of natural curiosity about people it seems and how they live their lives. I wondered how did that fascination come about? Was that driven do you think by your childhood where you were living in different countries? Definitely. Even if I just lived in Japan, maybe I ended up doing documentary photography. I did see a little bit of differences, see different cultures and different people. The way they live. The way they act. That made me interested in people so much. 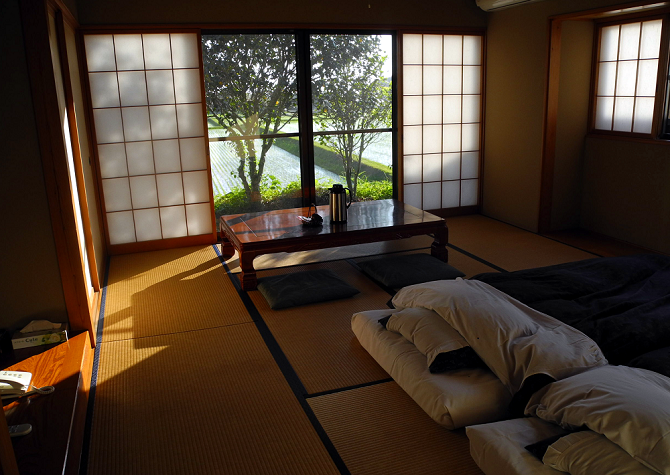 I did live in the oyster farm though but I did go to Tokyo and people are so different in Japan – even in Japan. Yeah, I love people. One of your projects Myanmar In The Here and Now featured in the Japanese newspaper Mainichi. 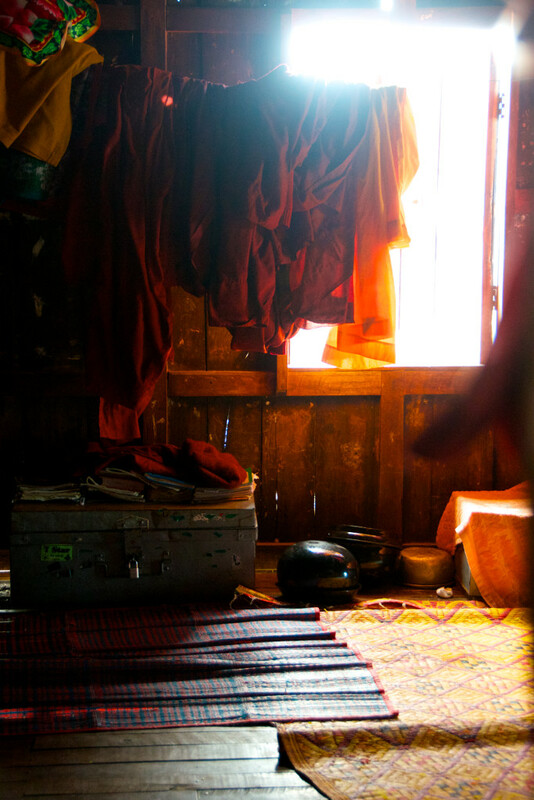 I really loved those photographs that you’ve got of Myanmar – the light in them is particularly striking. I just wondered if you could tell us a little bit about that project? So I went and when I went to young I felt this very warm feeling a little bit of it reminded me of old Japan actually. And the people was very warm. They were very polite. They had a manner a little bit like the Japanese actually. Then, when I went inside the mountains, people were a little bit like that. A little example that made me very interested in the people, was when you were walking inside the mountain you encounter local people. In Burma there’s a very big temple in Yangon which is called Shwedagon Pagoda and it is thought that for people it’s ideal to go there at least once during their life. Then the locals said “Did you go to Shwedagon Pagoda?”, and I said “Yeah I did” and they asked me “Where are you from?” so I tell them “I’m from Japan, Tokyo” and they say “Oh, is that close to Yangon?”. They don’t know Japan, and they don’t know Tokyo, and that fascinated me so much. 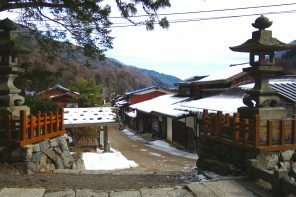 The people living inside the mountain countryside have a very simple life. They have so much emotion and I thought I should document them. Your most recent, project here at the Sway Gallery in London, Jiji and Kinako, is not about strangers in other countries, but it’s actually much more personal story. 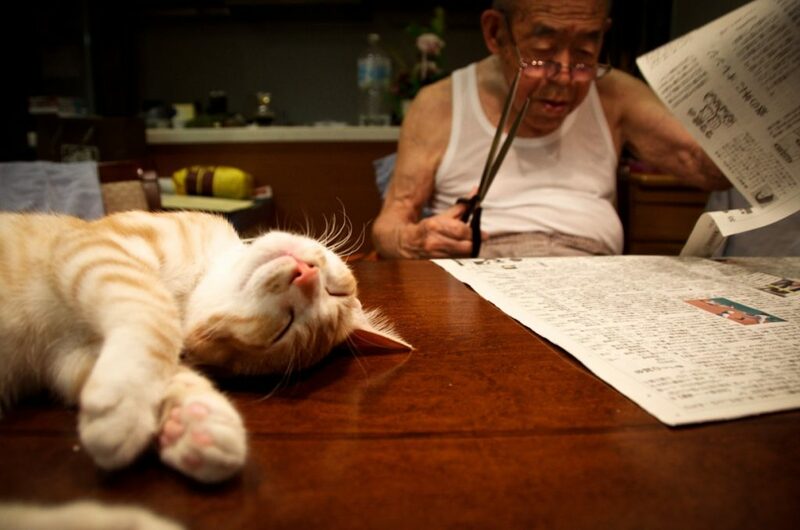 And a very moving one too; documenting the love of a cat for your then 94 year old grandfather, and the progression of his Alzheimer’s disease. I wondered if you could explain and share a bit about that story, and how you came to take the photographs. So he’s my actual grandfather, and he’s one of the person who influenced me so much. I had no intention to show this story to the world actually. Whenever I do documentary stories, I try to make it as neutral as possible, because I don’t want to affect my viewers with my own opinion – the way I think. Then this story is too personal, too emotional, so I thought I’m going to show this to the world. I’ve been taking these photographs between 2012 and 2017, which is last year. And during the process of taking the photographs was also witnessing his dementia progress, and that was heartbreaking. So I had to stop taking photographs for a few months, or maybe about a year. But then, watching them filled the family with so much warmth and happiness, so I thought maybe it can do the same with the people outside the family. So I decided to publicize it, release it and I’m very glad that I did. After doing this exhibition, with all the reactions from people, I don’t know… So my opinion about making things neutral has changed a little bit. Sometimes, when the photographs are personal it might have more power sending a message. So did they have a cat? Or was the cat introduced into the household? The story behind that is my friend actually had a cat. A massive cat called Omochi. It got pregnant and got three babies. She didn’t know what to do, so I decided to have one – which was Kinako. My grandfather hated cats. So I hid it in my room for a while. 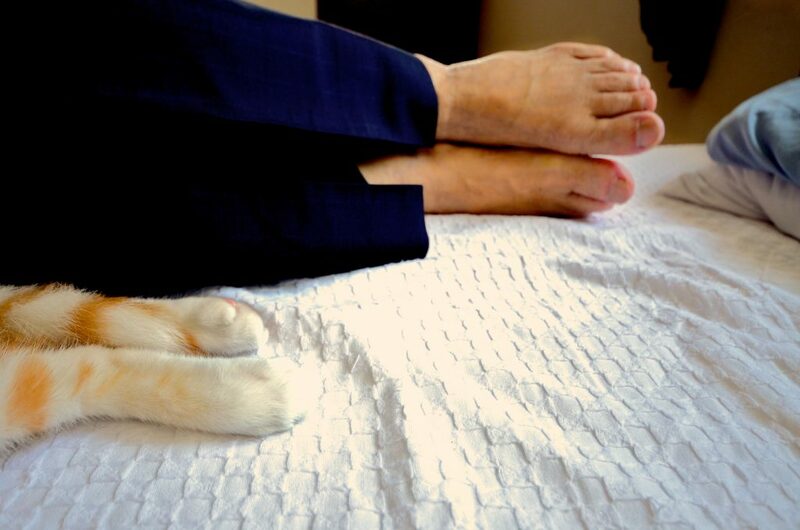 And then, one day, my grandfather wandered into my room and found the cat. And he grabbed the cat and looked so happy! Until that day, actually after he got diagnosed as Alzheimer’s disease, he began to shut himself a little bit and smile less. I think that’s common with a lot of people who get diagnosed actually. Then, when I saw his smile, I thought I need to take a photograph of them. So, that’s how the story began. Soon after that he snatched the cat and took him to his home – so he was fully converted! You’ve shot around the world including Europe and the Far East, and I wonder what your favorite places both to travel and also to shoot in are, and whether there was a correlation between travelling and shooting. Asia and Europe is completely different world which I cannot choose where is good or what good but if I had to choose one place I’d say Japan and Burma. Burma is changing so much right now. I’ve been there maybe seven years ago the first time, when I took the photographs of the people in the mountains, and the people in Yangon, actually most of the people, did not have cell phones. And then after I went back three, or four years ago, everyone has a cell phone and everybody had Facebook, so things changed so much. I’m sure people’s value have changed a little bit too and the way people began to act was different as well. People began to wear mini-skirts, and dyed their hair, but I think that is similar to other countries. 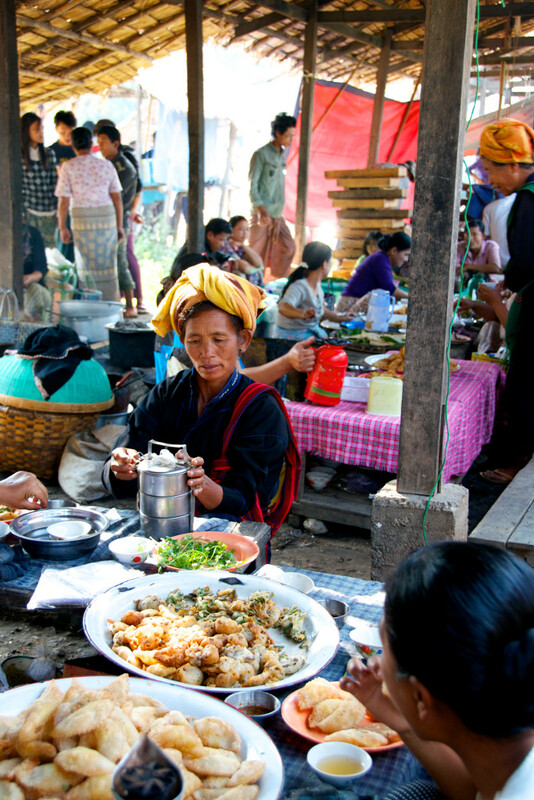 Yeah still I love Burma – it has so many faces. You now split your time between the UK and Japan (which is which is what I do actually) and I wonder what it was about each country that draws you back rather than make you choose just one of them as your home. It’s a very personal answer. I want to keep my roots to where my family is. Obviously my family is in Japan, and then my husband is in the UK. I want to spend more time where they are. That’s personal and then I cannot choose Asia or Europe, and I’m very lucky that I have two homes. Yeah, I have several projects in Asia and then I’d love to begin something in Europe so I’m still trying to study things. I wonder what it was that when you’re travelling, not necessarily just for photography for working purposes, but what it is it draws you to travel, what you like to get out of experiences? So, like earlier I said I love people and when so this work has allowed me to meet people a lot of people who have different lives. Not specifically some someone special or a celebrity, they all have different lives. Knowing people’s lives is a little bit like reading a precious book. I do take sceneries sometimes, but most of my photographs are of people, yeah because people makes the world very rich. So I keep wanting to meet somebody it doesn’t necessarily be somebody new. I want to explore. 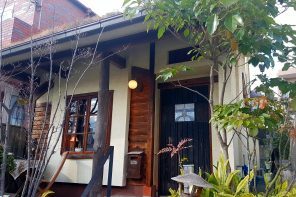 What about in your home country in Japan are there any places in particular that you would suggest that people will perhaps for the visiting for the first time should go to? 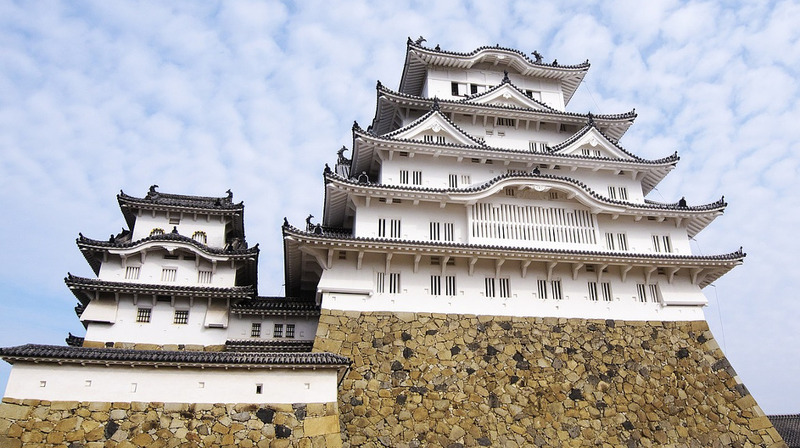 My home town is quite interesting actually, but if I had to choose one place it will be a place called Himeji in Hyogo. That’s where my school was actually, close to my village. Himeji has a castle called Himeji Castle and it’s beautiful, it’s absolutely beautiful. Its history is wonderful. It’s one of the castle that doesn’t have an elevator right now and it’s World Heritage. But it’s not just because it’s World Heritage but it has little bits of charm. For example, it has so many big rocks used for the wall. And then, when they were making the wall, they began to have a lack of stones that they can find. So they began to use gravestones to build the wall. So when you explore, if you’re lucky, you can see several names on the wall. And then the castle was not owned just by one family, so as the history goes by, several new families used it. So if you walk through the wall, you can see the different family marks which is quite interesting too. Finally, I just wondered what your next photography project might be? I don’t know if you’ve already got something lined up or whether you sort of let chance just happen or dictate what comes next? I’ve been having several ideas. One is, especially because your site is about Japan, I’d love to do something that has to do with myth – Japanese myths. Not because I love myths, but this is all about history, and I’d love to know my home country’s history through the myths, which should be interesting. Japan has a lot of issues about nationality right now. So I’d love to document something like that – and spread the news [about that] a little bit through my photography if it’s possible.